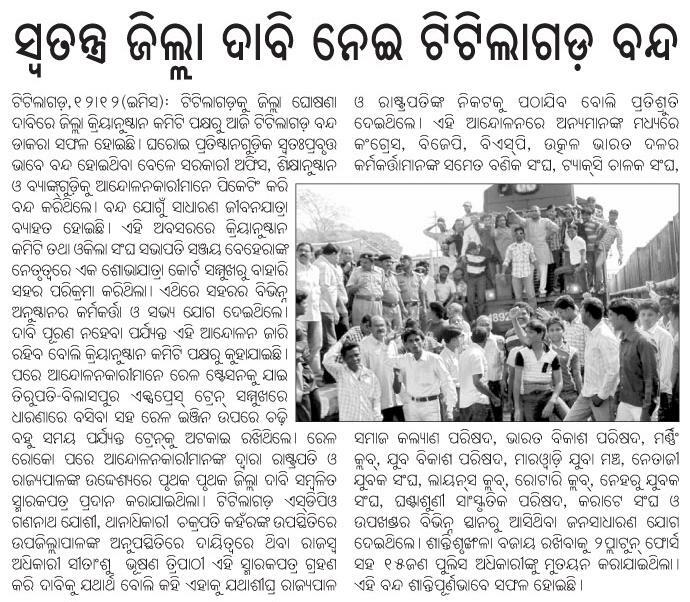 Following is a report from the Sambad: In my view Titlagarh should be a separate district. According to 2001 census the population of Titlagarh town was 27,756. Whereas, populations of Boudh and Sonepur town were 17,996 and 17, 535. Titlagarh is a highly populous town and for better administration it should be an independent district. Entry filed under: Balangir, Region watch.